Style plus comfort. Everything you need for a relaxed stay! Sleep in stylish, boutique comfort at affordable rates! 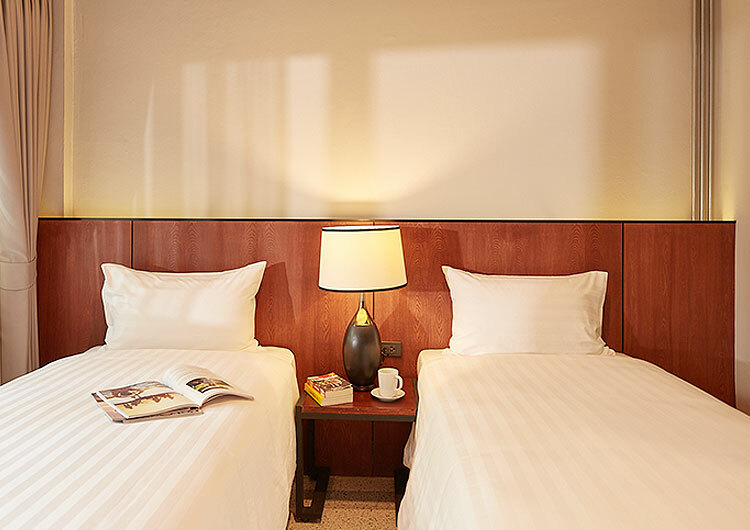 Our 123-room lifestyle budget hotel offers one of Bangkok’s top 3-star accommodations with excellent amenities for a relaxed, affordable stay. 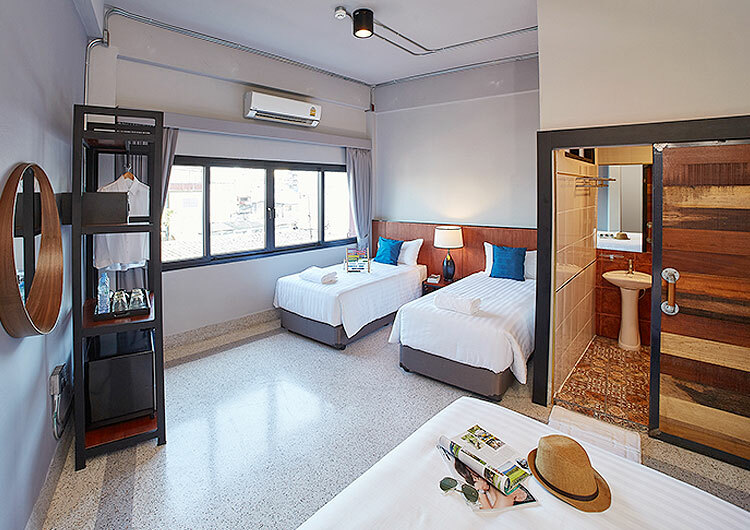 As one of Bangkok Chinatown’s only new budget hotels, w22 by Burasari’s rooms feature brand new beds, boutique quality linens and fluffy pillows for a good night’s sleep. Spacious, well-appointed rooms feature distressed wood details and minimalist, light-filled interiors. Open wardrobes come with hangers and plenty of shelf space to store your belongings. 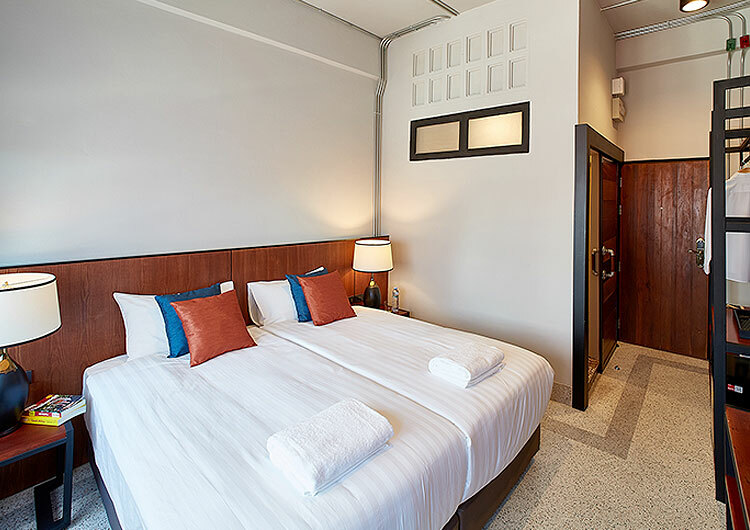 Each room is equipped with powerful air-conditioners to help cool off after a day of exploring. En suites are fitted with vintage Chinese tiles, excellent showers, great water pressure and hot water available 24-7. Hi-speed Wi-Fi is available in all rooms and across the hotel and is always complimentary. 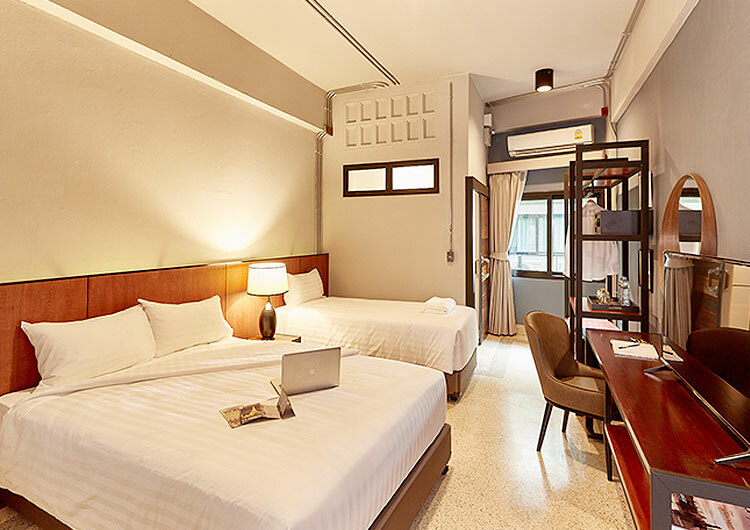 Large windows open directly onto the interior courtyard or out to the dynamic temple and vintage shophouse-filled lanes of Yaowarat and Chareon Krung Road. Though in the heart of buzzy, energetic Bangkok Chinatown, w22 is an oasis of calm relaxation. Accommodations are available in four categories: Standard, Superior, Triple and Family Rooms. W22 by Burasari’s 3-star ideal for couples, friends, families, solo and business travelers.